For less than $50, I've built a keychain toolkit that's fixed cars, motorcycles and once kept me out of jail. It's even legal on airplanes. Here's how you can build yours. All this might be legal on airplanes, but it will raise the TSA's eyebrows. As I pass through security, I put it in the tray next to my laptop so it's visible, then try and tell an agent about it before it goes through the X-ray machine, just to manage their reaction. As I've explained to the TSA countless times, I carry all this wherever I go because I like to be prepared. Maybe because I'm an Eagle Scout or maybe because I used to be a handyman, but a big part of my own sense of identity is fixing my own problems. And those of others. If my computer breaks or I need to rewire something in a hotel room or fix a flat tire or breakdown a door or deal with a real emergency, I've got it handled, all with what's in my pocket. And, if I do need to call for help, that's in there too. This is actually my second Style PS, the first was just confiscated by airport security in Madrid, who were also convinced my dog whistle was some sort of weapon. But, I'd carried that old one on countless flights over the last two years, both domestic and abroad, without any other issues. This thing is so handy, that I've stopped carrying or using larger multitools. It's typically the first tool I grab for small home repairs and it's helped me adjust the suspension on motorcycles, fix my Macbook, pull splinters, remove split fingernails and plug car tires. With pliers, wire cutters, scissors, a small flathead driver (perfect for eye glasses! 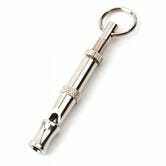 ), tweezers and a carabiner/bottle opener, all wrapped up in a package made from strong, reasonable quality materials, this thing's just perfect and is the most-used item here. LED flashlights are amazing. At 90 Lumens, this little guy is often my go-to while camping and I was using it just the other day to spotlight rats in my attic, before killing them. It'll give you more than two days of light on its lowest setting, which is perfect for reading maps at night or finding the keyhole when you come home late at night. Battery type — standard AAA and AA batteries are much easier to come by and far cheaper than their exotic CR123 and CR2 counterparts. 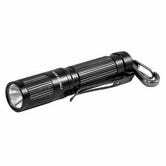 The situations in which a flashlight would just be nice to have or an absolute lifesaver are endless. Take the subway to work? Sure would be dark down there if the power went out. The screwdriver blades were too dull to actually fit into screws as stock, so I put them on a grinding wheel until they resembled an actual tool. Consider that modification essential. This is the tool that kept me out of jail. While partying in the paddock during a race weekend, some friends and I got a little out of control and caused some damage to the facilities. The cops were called, but we were able to break into a supply closet, find and open a can of paint and repair much of it before they arrived. The cops saw nothing but some idiot racers having a good time and just ordered us to sleep it off. Phew. Day to day, this opens my beers, saves my knife from prying duties and is killer to have with you in an office, where it can jimmy open stuck drawers. Tie a loop on one end of a piece of paracord to go around your keychain, then tightly roll duct tape around it. I've got about 18 inches of tape stored here, in a package no bigger than a tube of lip balm. Unlike cordage or a cutting edge or a blunt object or whatever, duct tape isn't something you'll be able to replicate with a found object. It's killer for patching torn clothes, tents or other materials, repairing shoes, performing first aid (need pressure and a bandage held on?) or even fixing problem wires in your bike or car. Feel a blister coming on? Cut a small piece of duct tape to shape, stick it to your foot and voila, the tape now gets rubbed instead of your skin. I just used this two days ago to pop the SIM card out of my iPhone. But really, I carry it to fix wardrobe malfunctions. It'll replace a button or connect a strap or hold a bandage on someone. This is a fancy one a friend gave me, but any clip will do. They're nice to have when you're using your keychain tools; I carry mine in my pocket 99 percent of the time, but will clip them to a belt loop if I need easy access, such as while up a ladder or in a crawl space. A good idea for connecting your car or motorcycle key too, you don't want all this hanging from the ignition. You can also use a clip to connect other things besides your keychain. I used mine to clip a stray dog to Wiley once, until we found its owner. I use mine to call Wiley, but whistles are great if you ever need to grab people's attention. That might be if you need help or want to warn others of danger. This thing's LOUD; three sharp bursts is the international call for help.